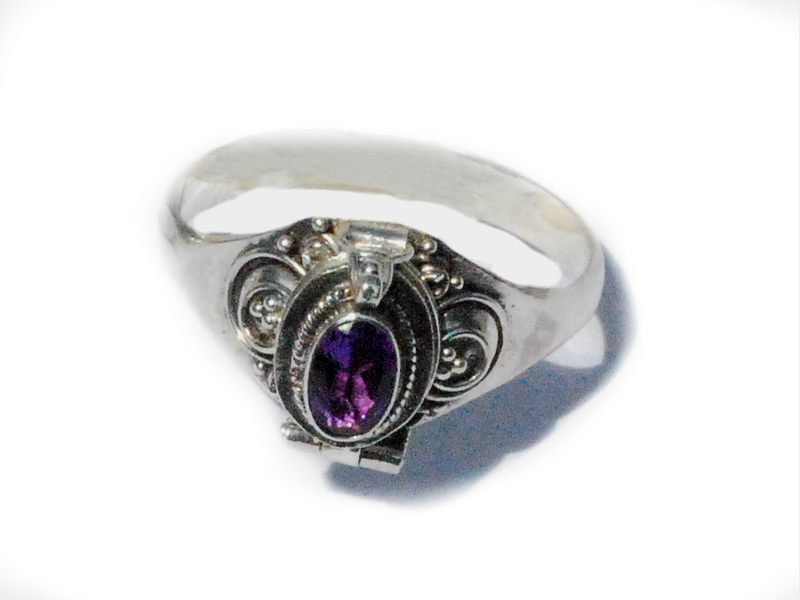 New 925 Sterling Silver Balinese Poison Ring with Genuine Amethyst CZ Stone in the center. A hidden box sits on top of the ring with a functioning lid to hold small objects or in ancient day, a small amount of poison. Add each size separately. Sizes can vary up to a 1/4 of a size.